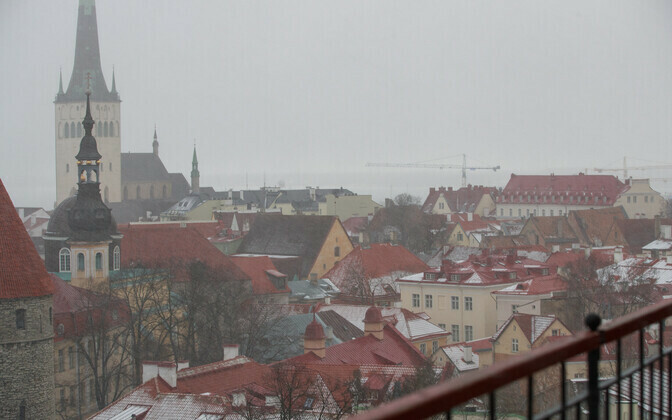 According to the Estonian Weather Service, winter is back for another quick stint in Estonia, bringing fog, rain, sleet and snow on Wednesday. As the Road Administration has already raised the speed limit to 110 km/h on dual carriageways and plenty of people have already changed to summer tires, drivers are asked to be particularly careful today. The night from Tuesday to Wednesday was overcast and in parts of the country brought sleet and snow, interspersed with rain. Fog was forecast for almost all parts of the country. Wind speeds ranged from 1 to 10 m/s, locally up to 14 m/s, with temperatures between -1°C on the mainland up to 2°C on the islands. The weather on Wednesday morning is overcast, with more precipitation expected and fog still hanging on in some areas. The wind is turning north, reaching speeds of up to 13 m/s. Temperatures on the mainland are forecast to rise to 2°C. The rainy and foggy weather will continue throughout the day. The west of the country will see less rain towards the end of the day, with temperatures climbing to 5°C.